No list of aesthetically pleasing maps would be complete if every once in a while we didn’t delve into the purely artistic form. Maps are, after all, beautiful objects in their own right and ignoring their possible function as tools for communication they perform a function as a piece of visual art. This is the reason why many people hang maps on their walls, even paper their walls with maps or collect map-related objects. 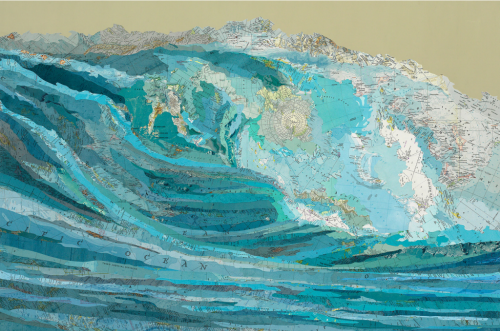 Matthew Cusick approaches maps as part of a palette of colour, shade, texture and meaning which he weaves onto the canvas along with acrylic paint. Rather than simply using just paint, he uses pieces of maps from which he creates a collage to bring to life an artistic work. 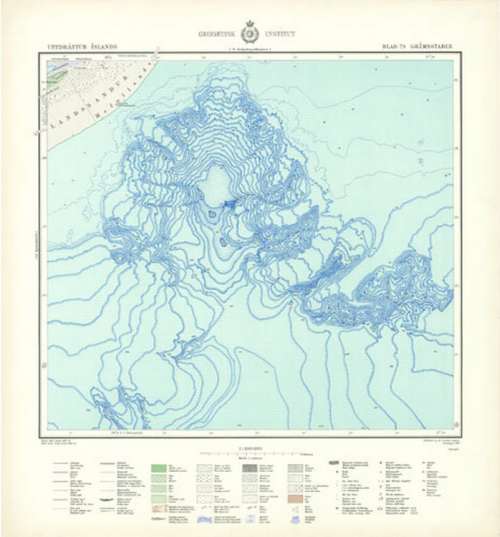 Kara’s wave makes considerable use of topographic maps and bathymetric charts. 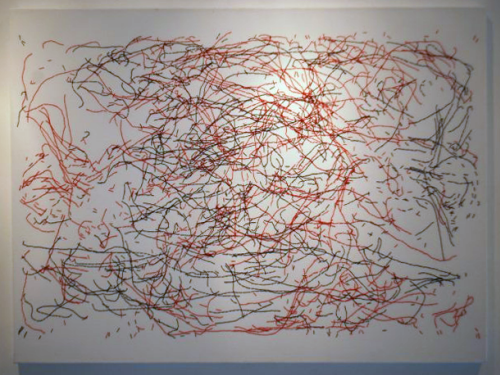 He has built a picture of the wave using maps and at a distance it appears no different to any other painting. Placement of the maps is not accidental or random. The shapes of the pieces gives shape to the overall piece and we can see the swirling mass of water take shape. Textual components follow the same lines and ingeniously, a polar azimuthal projection of Antarctica is used as the fulcrum of the crashing wave…the circular shape adding to the motion and the white landmass suggesting the foamy wash.
Maps as art give them a new life perhaps when their original purpose has waned. They certainly give artists a rich medium with which to work. 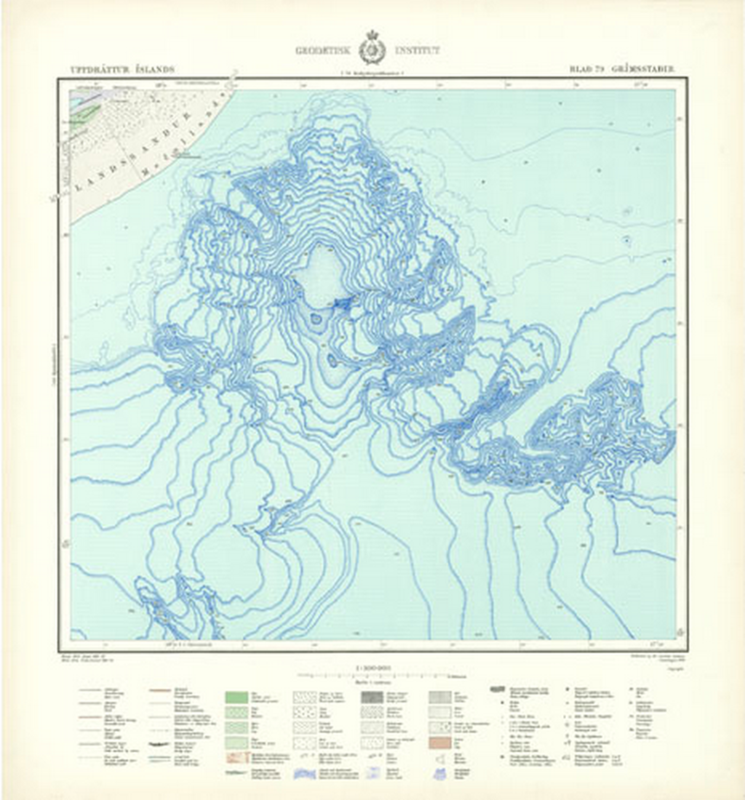 Cusick has many other examples such as an image of a car…made predominantly of street maps which blends the map type perfectly with the picture’s theme once again. Many more of his works can be seen on his web site here. Map shapes used as containers for a collage of graphics isn’t necessarily original but they work very well, particularly for magazines, posters and promotional material. They actually require very little cartography. Country outlines are iconic and change very little. 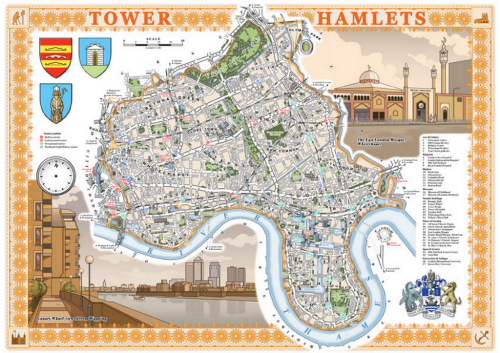 Couple them with a map theme that also has clear connections to the country and you have an attractive graphic which will catch the eye. 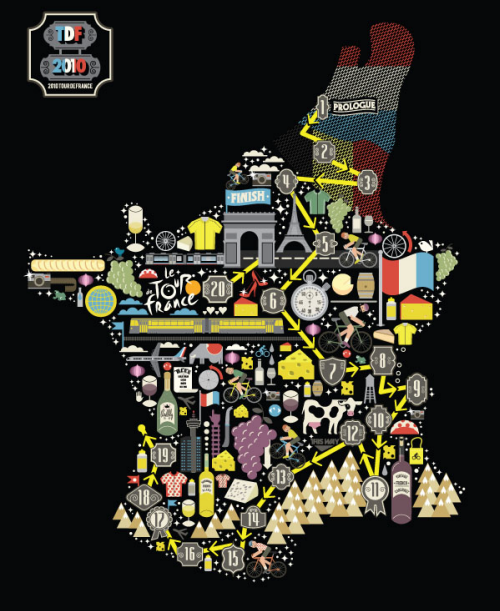 I love Dust produced this enticing map for Bicycling magazine to illustrate Le Tour de France. The map outline is filled with simple graphics representing the race or the regions. 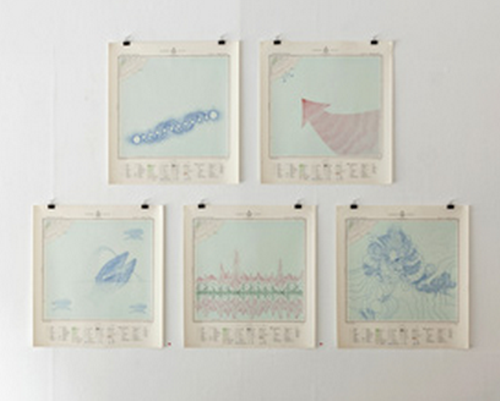 The map is simply a motif and the result is an abstract tour of various symbols. Embeded in the map on the same graphic level is the outline route itself, beginning in The Netherlands and finishing in Paris. It’s a simple graphic celebration of the race in map form. 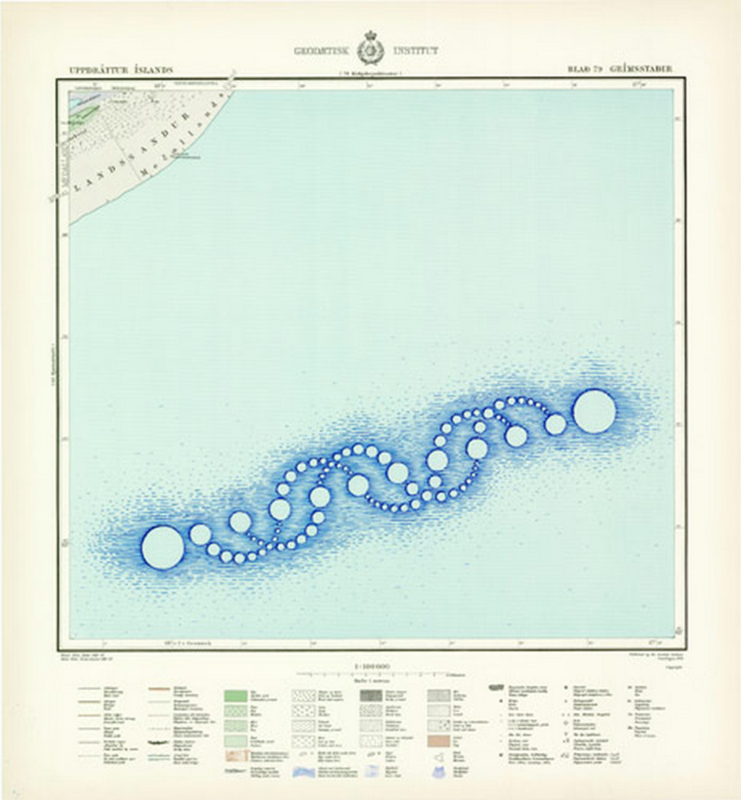 A very effective way of using cartography as art. 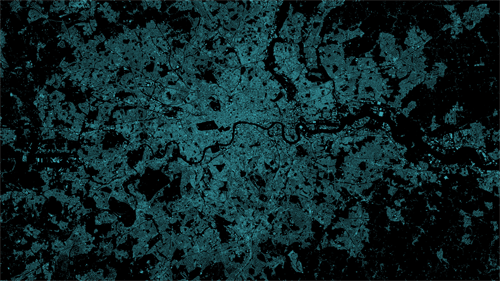 Cartography is often about expression. It’s about taking simple geometries and working with them to tease out salient characteristics through a range of processes of simplification, classification and symbolisation. What we end up with is an expression, through cartography, of something interesting or informative that perhaps the data as a jumbled mess couldn’t convey itself. What happens, then, when we do nothing and simply present the data. 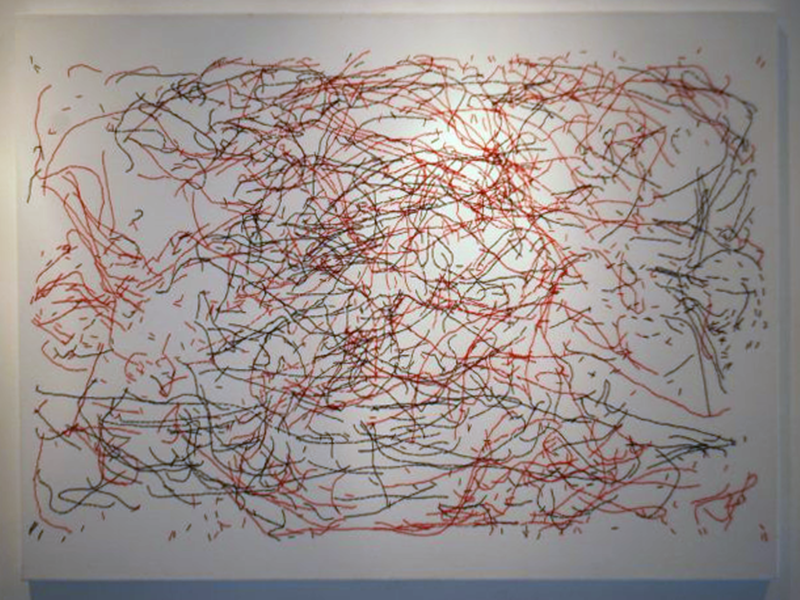 David Marsh has done just this with his map of player movement from the 1966 World Cup final between England and Germany at Wembley. It’s a map but it also exhibits an abstract aesthetic. 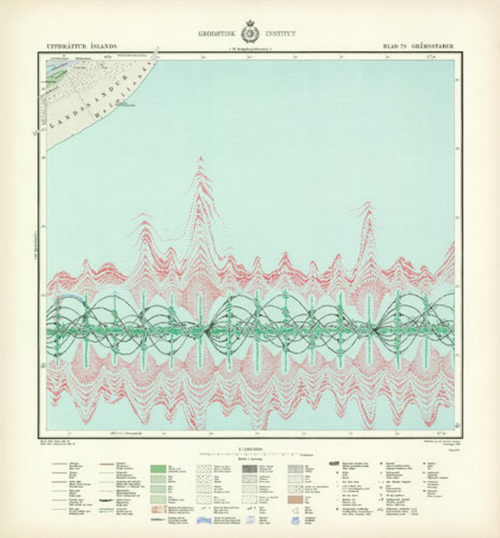 Marsh has plotted the movement of players during the entire game and the overlapping tracks create a fascinating image of the game. There isn’t any real need to bin the data into simpler visual units, or create heat maps or do any sort of cluster or hot spot analysis. Marsh proves that the raw data in itself can be revealing as well as giving us a look at the match unfiltered. It’s a data portrait of the match. 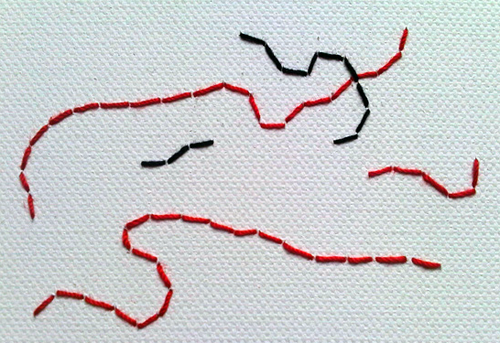 The original map itself is stitched onto canvas using the same material as worn by the players. Prints of the vectorised data also work and Marsh has applied the technique to other matches and also to different components of the match (such as the battle between Bobby Charlton and Franz Beckenbauer shown below) where he modifying the line type, weight and colour to categorise some of the fundamental aspects of play such as whether a player is on the ball (thick line) or not (thin line). 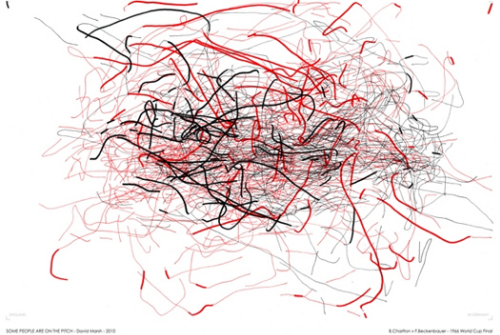 A thematic flow map, artistically rendered.